Negril is a sleepy little town on the Western end of Jamaica that comes alive a couple times during the year and that’s pretty much it. But that’s the beauty of it. Sleepy as it is, there’s still so many fun things to do in Negril! It’s far enough away from Jamaica’s capital city of Kingston to keep the “town people” from visiting too much but beautiful enough to encourage a trek ever so often. What’s so incredible about this place? Get my advice as a local on the top things to do in Negril Jamaica. Pull up a chair as we go through this list. Well…Duh! Of course the number one thing to do in Negril is hit the beach! It’s what Negril is famous for, that untouched, pristine 7-mile beach with amazing turquoise waters dotted with our vibrant culture and vibe. There’s nothing else, nowhere else like it and I’m craving it right now as I type this. I love that this beach is shared by high-end resorts and small shack joints. A quick walk along the beach will immerse you in the true Jamaican culture, everything from the laid back rastaman on his fishing boat to the hustler peddling jewellery and wares. Book a tour right from the beach in a glass bottom boat or pick a spot and laze all day with a daiquiri and a book. It’s likely that you’ll be offered marijuana at some point. Enjoy if you’re into that since it was recently made legal in Jamaica or simply sample some authentic jerk chicken and a cold Red Stripe Beer. 2. Watch the Amazing Negril Sunsets! They are breathtaking. Remember, I mentioned that Negril is on Jamaica’s western end so if there are but a few clouds in the sky? Man! The Universe shows up and shows out! Dinner by any of Negril’s cliff or beachside restaurants will be romantically lit as soon as dusk approaches. Or jump on a boat with a beer and some company and watch as the magic happens out at sea. 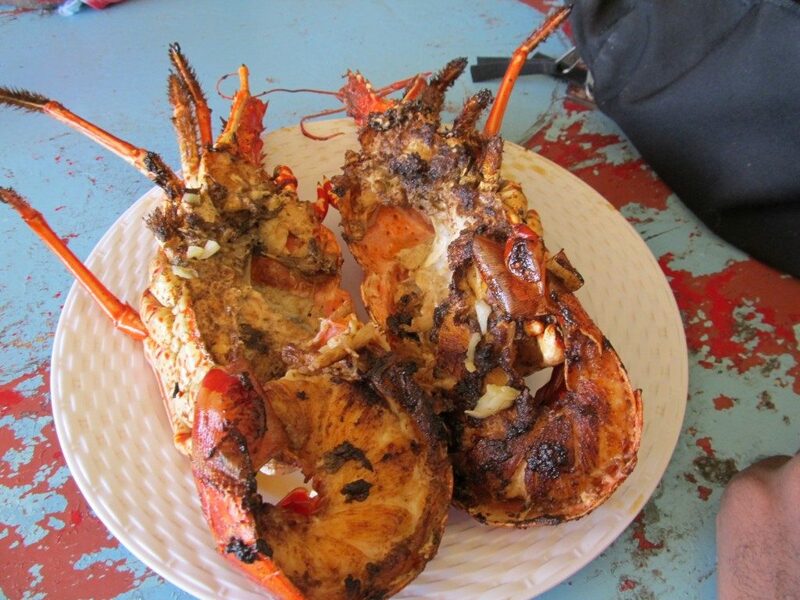 Whether you’re sticking to our famous jerk chicken with festivals or rice and peas or you’re going with grilled lobster brought in straight from the sea a few minutes before, your mouth is about to explode with the flavours of Negril. But don’t let me tell it, hear it from this Chef who travelled to the island. I visited the Italian Cafe on the Negril hip strip recently. It’s definitely worth a visit, though not without its hiccups. 4. 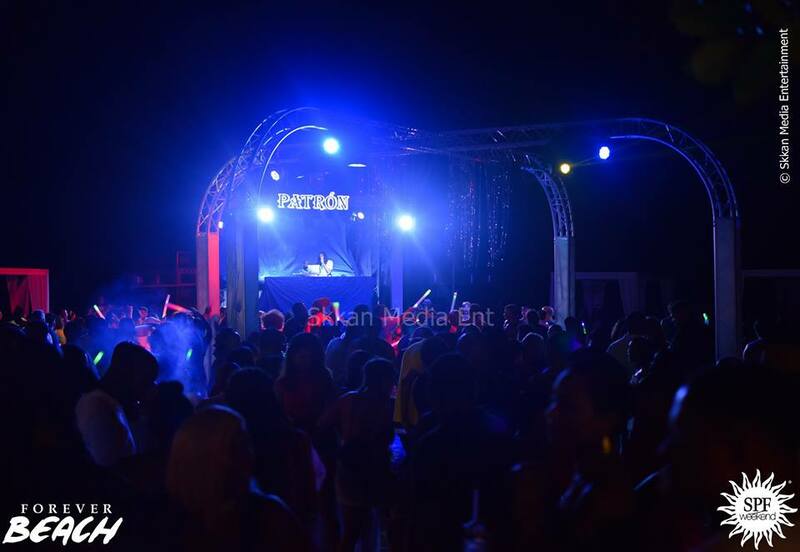 There’s Nothing Like the Negril, Jamaica Parties! Twice per year, Negril gets absolutely wild. Like, you may lose your bikini in the pool or the ocean wild! Visit in Spring Break or during our Independence Week which is the first week in August if this is up your alley. Spring Break is popular with college-aged tourists while locals and Jamaicans abroad fly home and get on BAD for Independence. All hotels are booked, all Air BnBs are booked, you’re lucky if you can find an empty hammock on the beach around these times! Rick’s Cafe in Negril is probably as old as I am if not older and keeps going strong because of its excellent location. They are perched on a cliff above crystal clear waters deep enough to take a jump in from high up on the rocks. Grab a beer and watch locals jump and do all kinda tricks and after a few, try it yourself! (Actually, you may want to do this as sober as possible.) This is also one of the best spots to catch the sunset! There are several other spots on the cliff side of Negril that you can take a jump and lose your drawers, all equally beautiful. 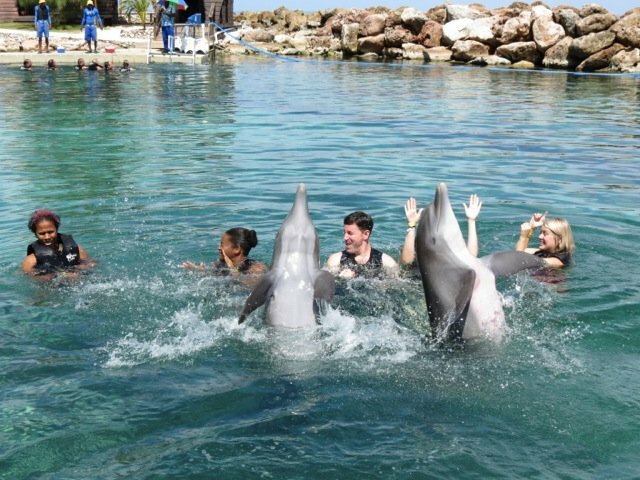 On the flip side, catch a glass bottom boat ride or go snorkelling in Negril to see the beautiful wildlife under the sea. You’ll see my recollection of having done these things here. What an amazing adventure you’re in for! 7. Take Amazing Wedding Photos! Or..hey..selfies! I mean me and my girls would kill a photo shoot on this bridge! The photo is Jillian from Nusophisticate.com and her hubby. 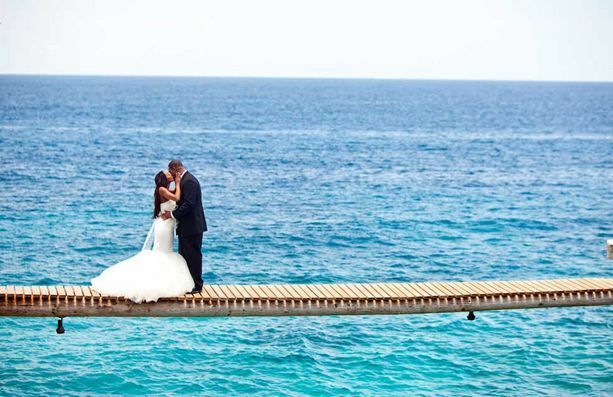 They got married at Tensing Pen, a boutique hotel in Negril. I consider myself very lucky that I do not have to get on a plane to have myself an amazing adventure by the beach. Negril has every type of accommodation available from large all-inclusive resorts, clothing optional spots, exclusive luxury boutique hotels, BNBs and guesthouses that offer different experiences and packages. They all have one thing in common, the breathtaking beauty of Negril and the vibrancy of my people. Been recently? What are some things to do in Negril Jamaica that I haven’t mentioned here? And if you haven’t been yet, what are some of the things you can’t wait to see and do?